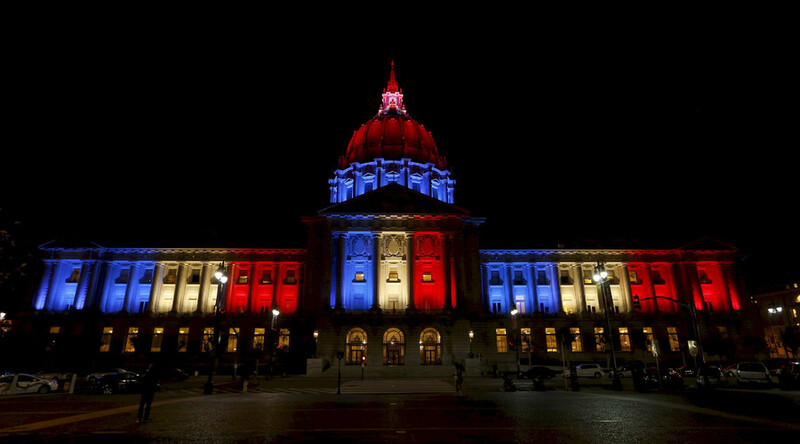 France has turned off its lights to mourn the victims of the attacks that rocked central Paris on Friday night. At least 120 people died. The rest of the world has turned lights on in honor and support, and as a symbol of resistance in the face of violence. Landmark buildings across the world, including the Empire State Building in New York, the Sydney Opera House and the CN Tower in Toronto were illuminated in the colors of the French flag in solidarity with all those affected by the horrific attacks. British airline EasyJet has reportedly moved all flights to the airport’s south terminal as police deal with the ongoing situation. Flights due to land at Gatwick’s north terminal are also being diverted to the airport’s other runways. Earlier, images of passengers being led out of the building emerged across social media. Shuttle buses have been carrying people from the evacuated terminal and extra staff are also being drafted in to help stranded travellers.